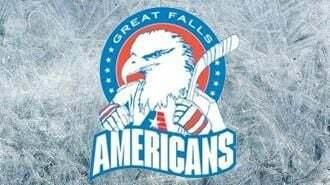 GREAT FALLS, Mont., July 7, 2015 — The Great Falls Americans Junior A Hockey team has announced their game schedule today for the upcoming 2015-16 season including 21 home dates at the Great Falls Ice Plex. The Americans, who begin their fifth season of junior hockey since the team was brought back in 2011 and their second season of competition in the Frontier Division of the North American 3 Hockey League (NA3HL) open their hockey season in front of the home crowd against the Glacier Nationals on Friday, September 18th. The following week (Sept. 25-26th), they will make their first road trip of the season when they face the Yellowstone Quake in Cody, Wyoming in a two game series. Once again this season, the league will be conducting two prestigious tournaments including the NA3HL Showcase in December and the NA3HL Top Prospects Tournament in February as well as the NA3HL Silver Cup Championship Tournament in late March. The Showcase tournament will feature each of the 34 NA3HL clubs playing four regular season contests against teams from the other divisions (December 16-19, 2015). Coaches and scouts from the NCAA and the ACHA usually attend this tournament taking place this year in Blaine, Minnesota. The Top Prospects Tournament (February 15-16, 2016) in Plymouth, Michigan will offer the best talented players that the league has to offer against each other in an ‘all-star’ setting. The Silver Cup Championship Tournament holds a five-day tournament to crown a league playoff champion. The winner receives a bid to compete in the USA Hockey Tier III junior hockey National Championship Tournament. The NA3HL Frontier Division consists of four other Montana teams including the Billings Bulls, Bozeman Ice Dogs, Helena Bighorns, and the Glacier Nationals along with two teams from Wyoming (Gillette Wild and the Yellowstone Quake).